hd00:27A flock of birds gathered on the wires. hd00:17Migration time. 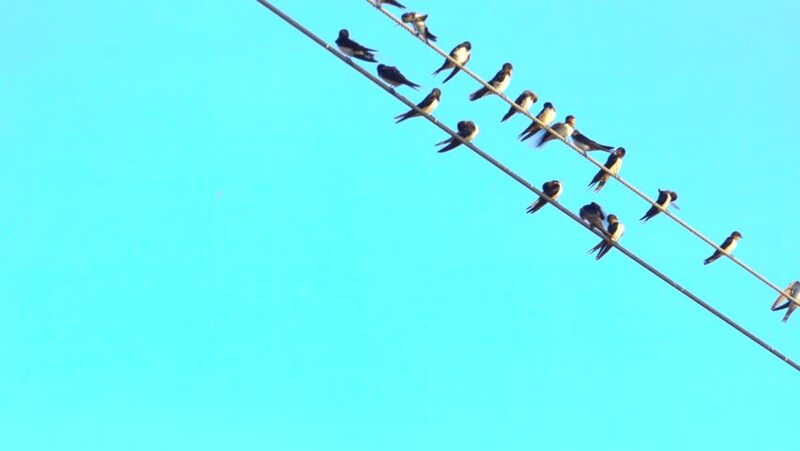 Flock of Bank Swallow - Sand Martin (Riparia riparia) on the wires.